I realize I posted soba noodles only a few weeks ago, but I’m back with more. 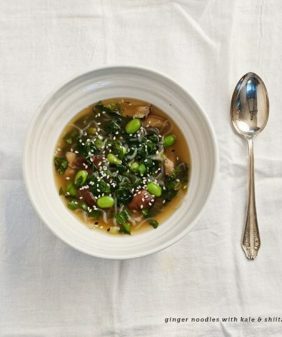 This time, they’re stir fried in a sweet, tangy orange-ginger soy sauce with some crunchy snow peas and edamame. While that one was best served cold, this one is best piping hot. And aside from the tedious task of cleaning the snow peas, this comes together rather quickly. Cook noodles in boiling salted water for 8-10 minutes. While the noodles are cooking, heat a large skillet with just a bit of olive oil. Once the pan is hot, (the first snow pea should sizzle when it hits), add snow peas and a pinch of salt, stir fry for few minutes, until tender and they get a slight char on both sides. Remove from the pan and set aside. Turn off the heat and let the pan cool down for a few minutes. While the (same) pan is off but still a little hot, (stand back, it might smoke a little) and pour in the sauce. Let it bubble just a little bit. Stir continuously as it thickens, about 2-3 minutes. (turn the heat back on to low if the pan has cooled too much). The sauce should reduce and become slightly syrup-ey. Don't let it burn or reduce too much. Add the noodles, snow peas and edamame to the pan. Stir to mix everything together with the sauce. Add a good squeeze of lime, and cook a few minutes more. Taste & adjust. If necessary, add more soy sauce, another squeeze of orange or lime, perhaps more sriracha if you want more heat. Top with a drizzle of toasted sesame oil, scallions & sesame seeds. Use 100% buckwheat soba if gluten free. If not I prefer this kind. Your photography is simply gorgeous! 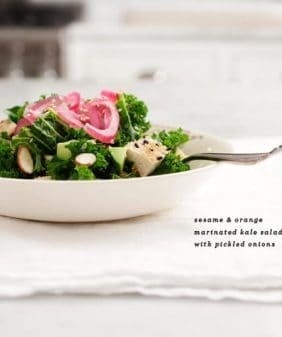 This dish looks wonderful and perfect for Spring. oh, you’re right, oops! Thanks so much for pointing that out! ah perfect, I love those little noodles! 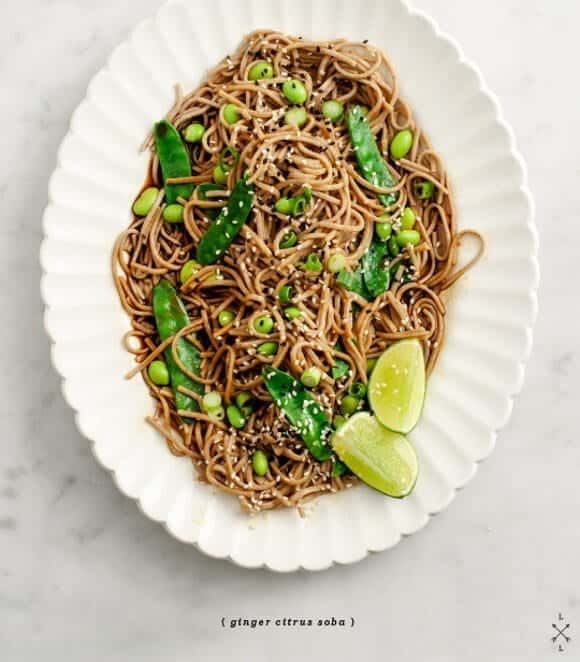 Soba noodles are pretty much my favourite kind and this dish sounds just perfect. This looks delicious! I especially love the sauce. I love soba noodles, great flavors in this dish! My favorite soba noodles at the moment are tossed in fresh lemon juice and chopped garlic with just a hint of cilantro! Soba noodles, for me, need sweet partners, to point out the bitter, earthy flavours of the buckwheat. I think sweet snow peas, and cirtus would be the perfect paring. This looks DELICIOUS. I would LOVE to have a plate of this right now!!! It sounds amazing! This is something I could happily eat every day. What fantastic flavors! That looks amazing. I cooked couscous in a mixture of water and orange juice yesterday… I wonder if you could do the same with noodles…? Thanks! I’m not sure how that would work. yes, I adore pickled ginger! These look incredible. I went through a phase in my early 20s when all I did was make stir fry. Now, it is difficult to even think about making anything that resembles stir fry, but this sounds so yummy. 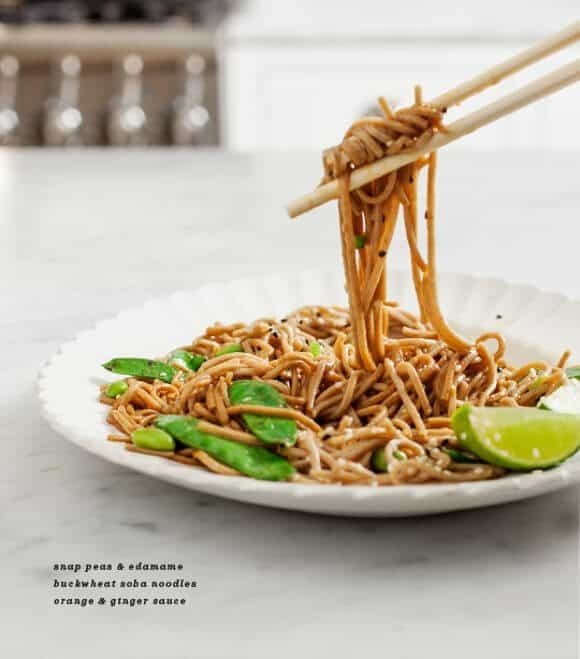 I think I might need to get past my stir fry ban and try these soba noodles out. what a quick and simple recipe! i love buckwheat soba noodles, so this is perfect. Lately, your recipes have been so spot on with what I am craving it’s crazy! 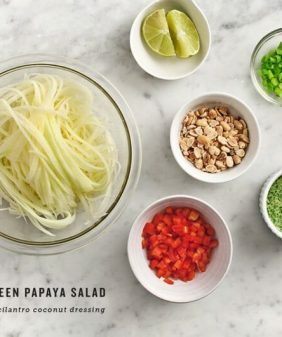 First the apple muffins, then the cauliflower puree, and now a vegetarian noodle dish. I am going to switch up the soba noodles for rice noodles because I have been wanting to use them up. Thanks for the continued inspiration! Hi Ashleigh, ha I’m so glad! This sounds great. I love soba noodles and anything with Sriracha, orange, and ginger gets an A+ from me. Thanks for sharing. Me too – they’re such a convenient dinner (and then lunch the next day). It’s warm and springy here – sorry to hear about your snow! Hi there! This recipe looks delicious. I’m actually new to soba noodles. I just learned that they can be gluten-free. 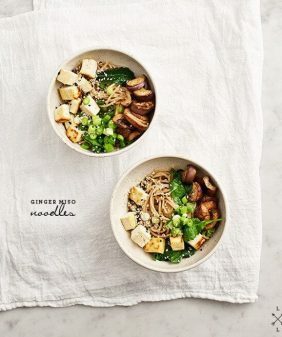 Do you have a gluten-free soba noodle brand that you could suggest? Love your blog! Thx! Look for some that are 100% buckwheat. I’ve had them before, but I can’t remember what brand. (I think it was the one brand that happened to be in my store). You could also sub in brown rice noodles, I really like Jovial’s. Good to know. I will have to browse the aisles on my next grocery trip! this looks delicious! I really need to try soba noodles again! 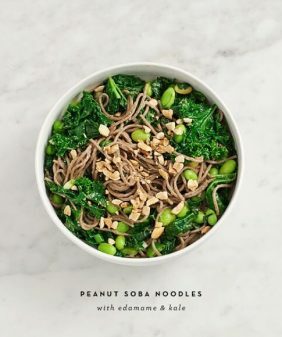 This looks absolutely delicious — I love soba noodles! There can never be too many soba noodles in our lives – I could eat soba bowls every day of the week. Beautiful! This recipe was DELICIOUS!! Although we didn’t have snow peas and edamame, we substituted them for fresh peas in the pod and french cut green beans. The sauce was delicious. Definitely will be making this again. This is perfect. Looks so quick and I just picked up more soba noodles last night. Just what I need after my first long day back in the office. This looks so wonderful and would make the perfect lunch! Great recipe. Tasted delicious and very simple to put together. Thanks so much! I don’t have Sriracha (or any kind of hot sauce), but I will get some next time I am at the grocery store! How would cayenne pepper work instead? Or is there another substitute? Should I add maple syrup too? Thanks! Hi Hannah, you can skip the sriracha, it just won’t be as spicy but will still be flavorful. You can try cayenne or a pinch of red pepper flakes if you like. You shouldn’t need maple with the sweetness from the orange, but if you taste it and want the sauce sweeter, then go for it! Thanks for your response! I only recently discovered your blog, and your cooking style really fits me. So far I’ve tried the Tahini Noodles with Roasted Carrots and Chickpeas, and it was wonderful. I have several more recipes picked out to try and am planning on ordering your gorgeous new cookbook! Oh thank you! I hope you enjoy the recipes and the book – welcome!! This recpie look ma really tasty! Will this work as a cold dish? I want to make it for a work potluck. 1. cook the noodles, drain and rinse them in cold water and toss them with a little bit of sesame oil so they don’t stick together. 2. 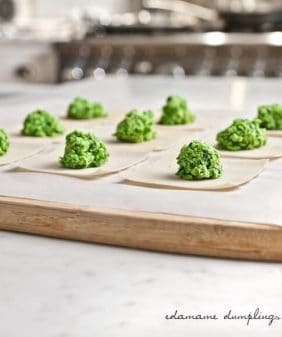 Blanch the snow peas and edamame (cook them in boiling water for 2-3 minutes, then dunk in ice water and drain. 3. Mix the sauce in a little bowl instead of adding it to the pan. 4. Toss everything together and season to taste.